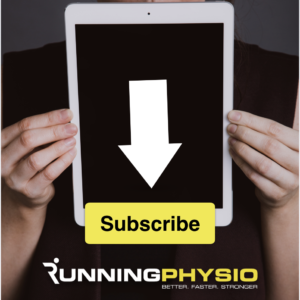 Our friend and fellow physio Rich Norris joins us in Part 3 of this series to talk about expectations following ACL reconstruction. Rich is a knee specialist in one of our recommended clinics and has created thekneeresource.com a fantastic website with a great collection of videos and resources. Follow Rich on Twitter via @thekneeresource and be sure to check out his website, it’s a gold mine for knee knowledge! If you missed Part 1 or 2 of this series you can find them both HERE. If you’d like to find out more about rehab for runners including gait analysis, load management and evidence-based treatment of key running injuries join us on Running Repairs, we’ve just announced new course dates in Cardiff, Dublin and Reading – find out more HERE. How long might you anticipate rehab to be for someone following ACL reconstruction? I would typically see a patient for approximately 9 months following ACL reconstruction, as the majority of my patients wish to return to pivoting sports. Recent evidence found that all patients that returned to pivoting sports within 5 months of ACL reconstruction re-injured their knee. Between 6-9 months, the rate of re-injury reduced by 51% for every month return to pivoting sports was delayed but after 9 months, the rate of re-injury did not reduce further. By this stage, most patient will have also passed other return to sports criteria and are psychologically ready to return to sports. For surgical candidates, rehabilitation is usually split into two phases. Phase 1 starts before surgery and aims to resolve any impairments that increase the risk of post-operative complications (e.g. pain, swelling, range of motion). As soon as practical, hopping ability and strength measurements are recorded on the uninjured knee, which can be used as a reference to guide return to sports after surgery. Performing a specific exercise programme before surgery has also been shown to improve outcomes following ACL reconstruction. After surgery, the patients will be discharged from the ward and the second phase of rehabilitation begins. Progression through the post-operative phase is both time and criteria based, and the rehabilitation should be relevant to the patient’s activities (e.g. football versus skiing). Most patients are ready to start treadmill jogging around 3 months post-op and changing of direction drills are introduced around the five-month stage. These are made progressively more challenging, working on unanticipated movements and sports-specific drills in preparation for a return to sports. What barriers do patients frequently encounter? The available evidence suggests around half of patients with an isolated ACL rupture can cope without surgery. Clinically, a large proportion of patients believe surgery is the first line treatment and are reluctant to trial conservative management. Likewise, after surgery only 55% of patient return to competitive sports, with the main barrier being a fear of re-injury and the associated implications. What factors may have a negative effect on prognosis? A number of factors have been identified that negatively affect prognosis after surgery. These include a sub-optimal pre-operative status as mentioned earlier. Poor compliance with rehabilitation is a major issue, while returning to high-risk activities too early, without completing the return to sports criteria, has also been associated with a greater risk of re-injury. Patients that return to high risk activities (e.g. pivoting sports), or those with an associated meniscus injury are more likely to have future problems than those that do not. What factors may have a positive effect on prognosis? According to high quality evidence, highly motivated males (e.g. professional footballers) are more likely to return to competitive sports; 83% of elite athletes return to their pre-injury level. Passing return to sport criteria, waiting at least 9 months before returning to high risk activities and engaging in pre-operative rehab have been shown to have a positive effect. Eitzen et al. (2010) used a progressive 5 week ACL rehab programme pre-surgery and found better outcomes post-operatively. We’ve summarised the exercises below in 2 videos from thekneeresource.com. There’s more videos here and we’ll shortly be adding a detailed ACL section so keep an eye out for that. Alshewaier S, Yeowell G, Fatoye F. The effectiveness of pre-operative exercise physiotherapy rehabilitation on the outcomes of treatment following anterior cruciate ligament injury: a systematic review. Clin Rehabil. 2017;31(1):34-44. Ardern CL, Taylor NF, Feller JA, Webster KE. Fifty-five per cent return to competitive sport following anterior cruciate ligament reconstruction surgery: an updated systematic review and meta-analysis including aspects of physical functioning and contextual factors. Br J Sports Med. 2014;48(21):1543-52. Eitzen I, Moksnes H, Snyder-Mackler L, Risberg MA. A progressive 5-week exercise therapy program leads to significant improvement in knee function early after anterior cruciate ligament injury. J Orthop Sports Phys Ther. 2010;40(11):705-21. Frobell RB, Roos EM, Roos HP, Ranstam J, Lohmander LS. A randomized trial of treatment for acute anterior cruciate ligament tears. N Engl J Med. 2010;363(4):331-42. Frobell RB, Roos HP, Roos EM, Roemer FW, Ranstam J, Lohmander LS. Treatment for acute anterior cruciate ligament tear: five year outcome of randomised trial. BMJ. 2013;346:f232. Grindem H, Granan LP, Risberg MA, Engebretsen L, Snyder-Mackler L, Eitzen I. How does a combined preoperative and postoperative rehabilitation programme influence the outcome of ACL reconstruction 2 years after surgery? A comparison between patients in the Delaware-Oslo ACL Cohort and the Norwegian National Knee Ligament Registry. Br J Sports Med. 2015;49(6):385-9. Grindem H, Snyder-Mackler L, Moksnes H, Engebretsen L, Risberg MA. Simple decision rules can reduce reinjury risk by 84% after ACL reconstruction: the Delaware-Oslo ACL cohort study. Br J Sports Med. 2016;50(13):804-8. Kyritsis P, Bahr R, Landreau P, Miladi R, Witvrouw E. Likelihood of ACL graft rupture: not meeting six clinical discharge criteria before return to sport is associated with a four times greater risk of rupture. Br J Sports Med. 2016;50(15):946-51. Nagelli CV, Hewett TE. Should Return to Sport be Delayed Until 2 Years After Anterior Cruciate Ligament Reconstruction? Biological and Functional Considerations. Sports Med. 2017;47(2):221-32.
van Grinsven S, van Cingel RE, Holla CJ, van Loon CJ. Evidence-based rehabilitation following anterior cruciate ligament reconstruction. Knee Surg Sports Traumatol Arthrosc. 2010;18(8):1128-44.
van Melick N, van Cingel RE, Brooijmans F, Neeter C, van Tienen T, Hullegie W, et al. Evidence-based clinical practice update: practice guidelines for anterior cruciate ligament rehabilitation based on a systematic review and multidisciplinary consensus. Br J Sports Med. 2016;50(24):1506-15. Wellsandt E, Failla MJ, Snyder-Mackler L. Limb Symmetry Indexes Can Overestimate Knee Function After Anterior Cruciate Ligament Injury. J Orthop Sports Phys Ther. 2017;47(5):334-8. Wiggins AJ, Grandhi RK, Schneider DK, Stanfield D, Webster KE, Myer GD. Risk of Secondary Injury in Younger Athletes After Anterior Cruciate Ligament Reconstruction: A Systematic Review and Meta-analysis. Am J Sports Med. 2016;44(7):1861-76.